At Petersvale Farm just outside Ceres we meet the rest of our group. The plan was to camp, but due to a river running through the campsite, a chalet seems like a better option. 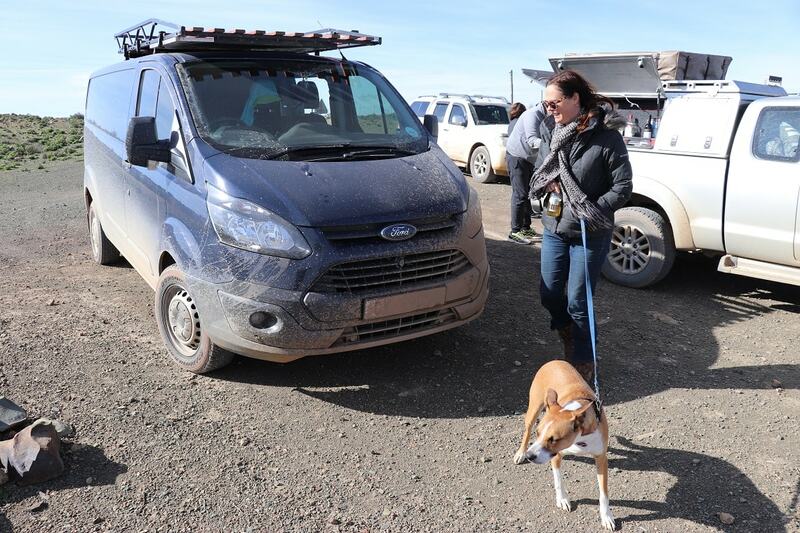 Luckily, we are prepared for bad weather in our newly acquired Ford Transit van. My wife, Sharon, and I are in the process of converting it into a camper for trips like these and happily find much solace in our warm bed. The next morning, as the sun peeps through the clouds, the journey begins at Gydo Pass, just past Prince Alfred’s Hamlet. 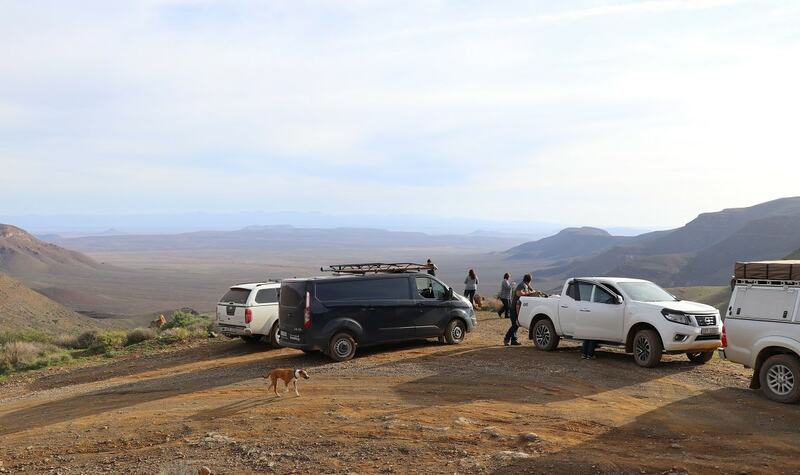 This trip is not about the destination and we stop often to take in the spectacular views. 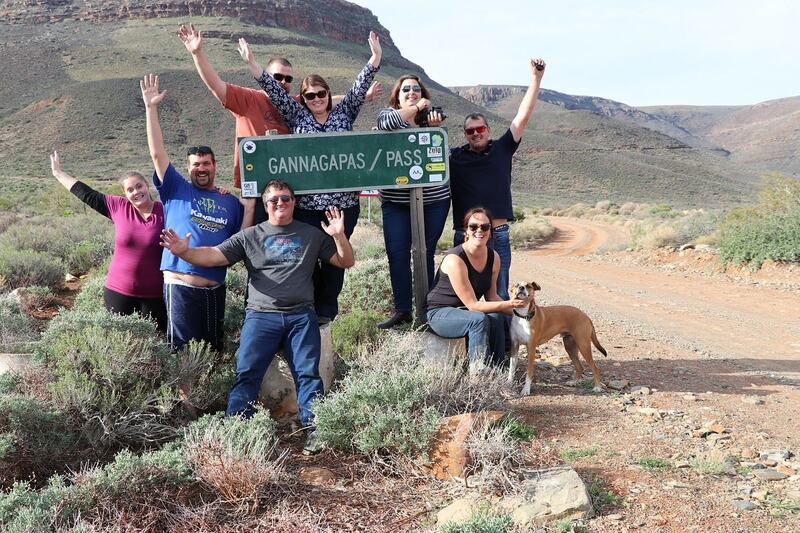 Katbakkies Pass is our first gravel pass and the excitement is palpable. The amazing rock formations turn into breathtaking plains as we descend into Peerboomskloof Pass, also known as Skittery Pass. The pass leads to the quirky and famous Tankwa Padstal – a place of hustle and bustle in the middle of nowhere. By now the weather has finally cleared up. We follow the R355 for about 17km before turning off and heading east. A voice crackles over the two-way radio: “I think we should stop for brunch up ahead,” our guide, uncle Wessel, announces. 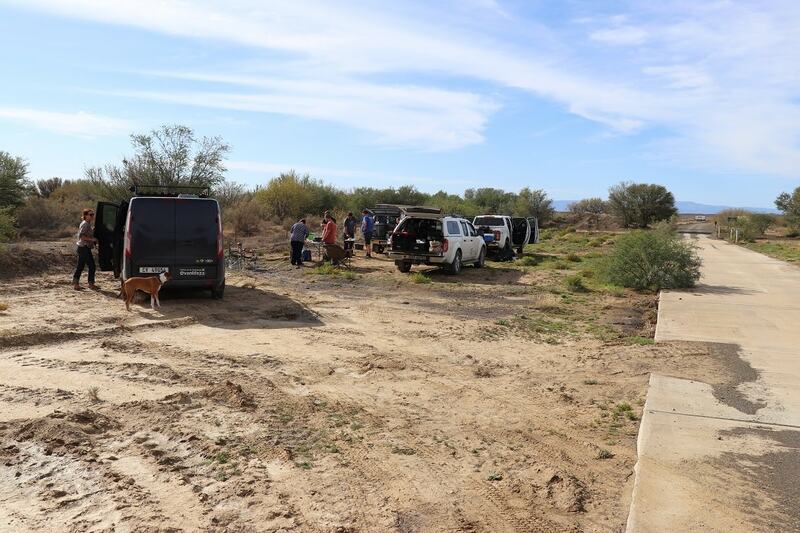 Our convoy of three bakkies and a van pulls off and parks in the dry riverbed of the Ongeluks River. Could there be a better breakfast spot? Our van has been equipped to put all the essentials at our fingertips. I slide out the table as Sharon sets up kitchen. Grabbing our boerewors from the fridge – it runs off the battery system and is charged by solar power – we are ready for a braai on our smoke-free Lotus grill. 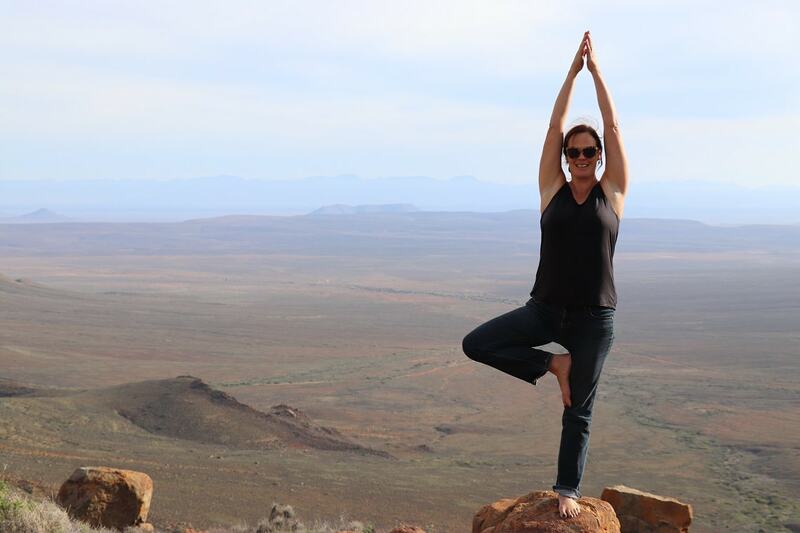 We might not have a 4×4, but luckily South Africa offers so many incredible destinations to visit without one. And with Tracks4Africa loaded on our GPS, finding these places is remarkably easy. I am last in the convoy and see how the other bakkies slip and slide through a big mud pool. I slow down, waiting for the last bakkie to clear the pool. Then I speed up. I keep my wheels straight and power through. 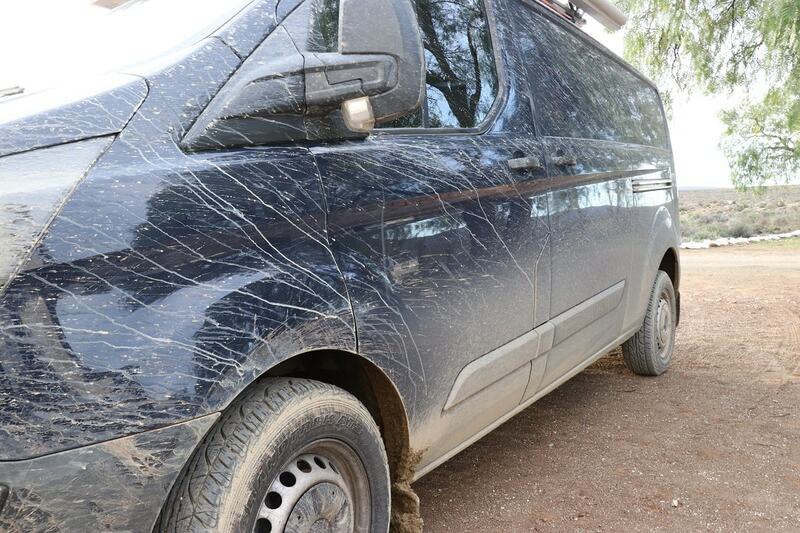 Mud and water fly over the van’s roof. There’s another mud pool, and another, and yet another. What was at first a worry, is now tons of fun. 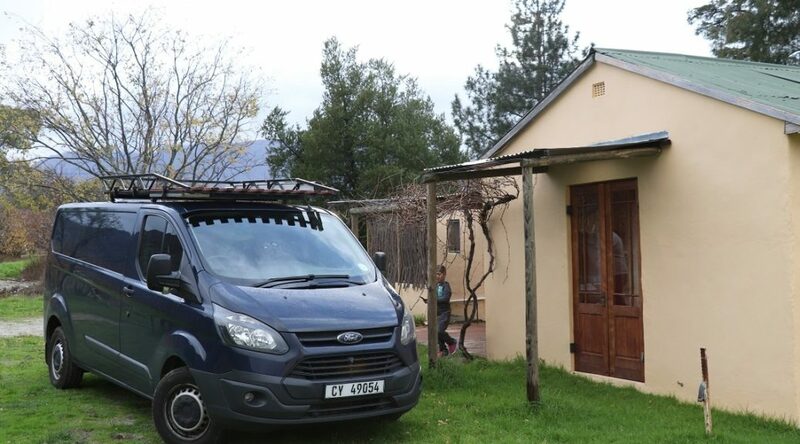 When we arrive at Middelpos farmhouse, I am suitably impressed by how the van looks. As night falls, we are greeted by millions of stars filling a clear sky. 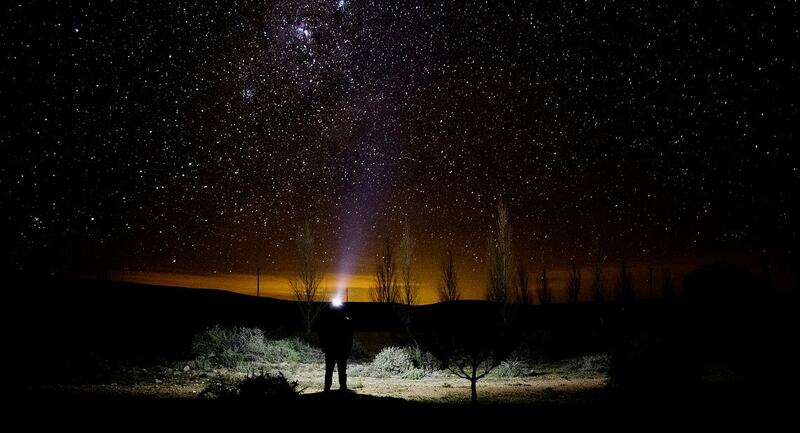 Jeandry and his wife Delana quickly put up their tripod and start taking pictures of the starry sky. It’s dead quiet, except for a donkiekar passing in the distance. The next morning uncle Wessel informs us about the road ahead: “Just one pass today – Ouberg Pass.” Ouberg Pass? A few years ago, and without the help of T4A, Sharon and I got somewhat lost and accidentally ventured down Ouberg Pass. Although our memory of it is a bit blurry, we clearly recall sharp, steep switchbacks. Luckily, the van’s brakes were recently serviced. 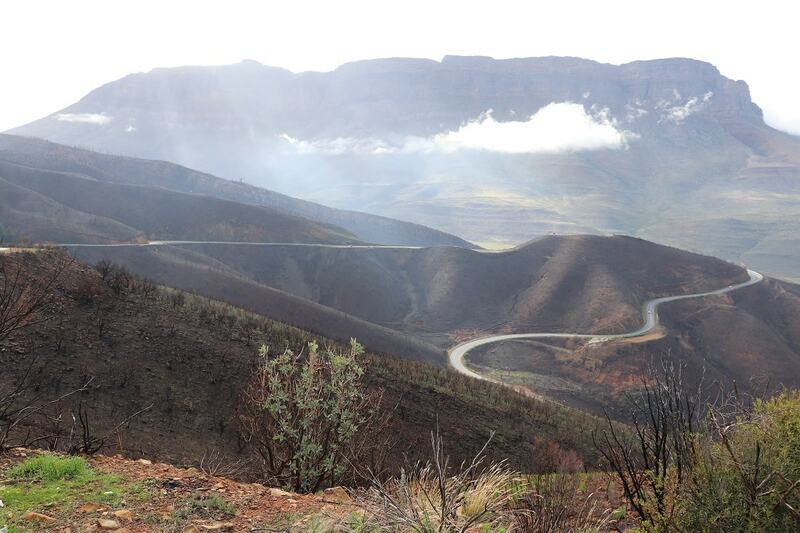 Conveniently, Ouberg Pass has a viewpoint right at the top – the perfect spot for nerves to set in. The drop-off doesn’t give anything away and nervous laughter is the only thing we can muster. Only after walking to the edge, do we see the path twisting and turning down the spine of the mountain. It drops hundreds of metres to the bottom of the valley. With the temperatures dropping quickly, it is time to head back to Ceres – and then home – via the Tankwa Padstal. As we drive home, I reflect on the weekend. Who would have thought we would be doing this in a van a few years ago? Now I have a better understanding of what our van is capable of. Before reaching Wellington, we’re already planning our next van trip. There are so many options. Where do we begin? One thing’s certain: this van is going to see a lot more gravel. 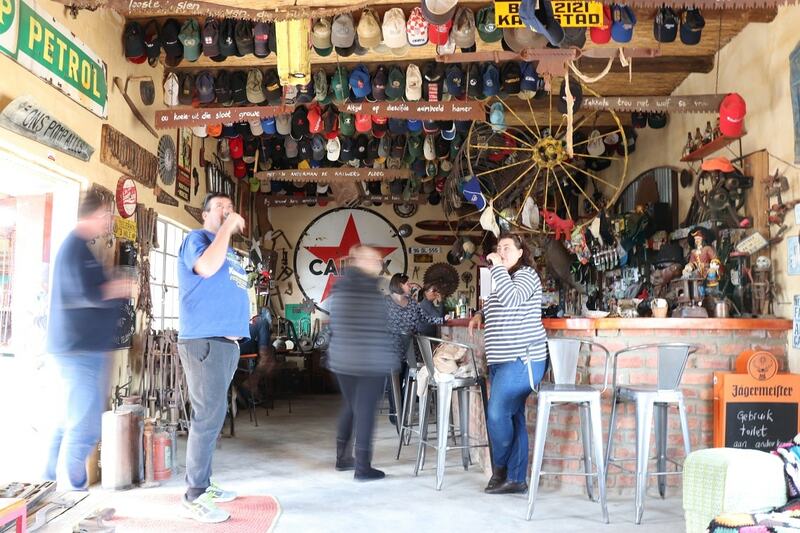 Follow Leon and Sharon’s life in a camper van on Instagram (@vanlifeza) and see where they enjoy their weekends and holidays.